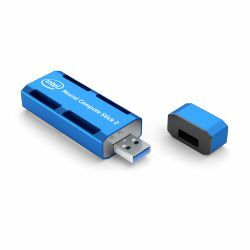 Bringing computer vision and artificial intelligence to your IoT and edge device prototypes is now easier than ever with the enhanced capabilities of the new Intel® Neural Compute Stick 2 (NCS 2). Whether you’re developing a smart camera, a drone with gesture-recognition capabilities, an industrial robot, or the next, must-have smart home device, the Intel® NCS2 offers what you need to prototype smarter. What looks like a standard USB 3.0 thumb drive hides much more inside. It’s built on the latest Intel® Movidius™ Myriad™ X VPU which features the neural compute engine—a dedicated hardware accelerator for deep neural network inferences. With more compute cores than the original version and access to the Intel® Distribution of OpenVINO™ toolkit, the Intel NCS 2 delivers 8x performance boost over the previous generation. With a stunning power consumption of 1W, it is the optimal device for mobile or other low power applications.